Selecting the wedding party is a fun, but often difficult, decision to make. You may have trouble narrowing down your family and friends to the group you want by your side at the altar, or you may struggle to decide which family or friends you are close enough with to include. Either way, taking the time to make this decision is key. After all, your wedding party represents your closest companions, your support system, and the people in your life who mean most to you (besides your adorable fiancé of course!). To go with the common expression, ‘family first,’ think of the family members that you may want to be your bridesmaids…it may be your sisters, cousins, mother, or aunts. Second, think of your friends. Who has stood by your side through thick and thin? Who do you go to when you have big news? Next, it may be a good idea to consider your fiancé’s family. Is he super close with his sister or cousin? It could be a nice gesture to include those individuals in your wedding party too. The same goes for him…first consider family: brothers, cousins, father, or uncles, then friends, then the bride’s family. Wedding party size is totally up to the bride and groom’s discretion. However, it’s a good idea to consider the size of the guest list. If only 50 guests are attending your wedding, having 14 of them be part of the wedding party may be a little off balance. But, with a 300 guest wedding, having 7 bridesmaids and 7 groomsmen is a bit more sensible. For the flower girls and ring bearers, couples typically consider their own children first, then family members such as younger siblings, cousins, or family friends. Whatever the case may be, make sure they’re super cute and willing to do the job! Whether you’re on a budget or you’re planning on breaking the bank, an amazing honeymoon is within reach for every couple. For the financially frugal, a honeymoon registry is a dream come true. Traditionally, couples registered for things like pots and pans, forks and knives, or sheets and towels, but today, couples can also register for flights and hotels, scuba lessons and hiking excursions, or candlelight dinners and spa treatments. By completing a honeymoon registry, couples can give their wedding guests the option of giving them the gift of a perfect after-wedding vacation. 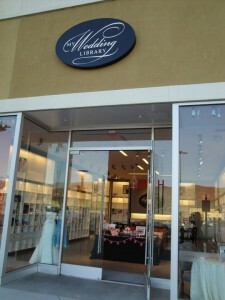 To begin your honeymoon registry, visit www.myweddinglibrary.com/renotahoeweddingvendors/travel. For the financially fortunate, there are endless honeymoon options. Cruises, which sail anywhere from Alaska to Mexico to the Caribbean to Europe, provide for the opportunity to visit multiple locations on one trip. All-inclusive resorts, located across the globe, have every luxury from food and beverage to room accommodations and resort amenities in one flat rate. Whatever vacation style you choose, deciding on the location atmosphere is key….Beach or snow? City or country? Boat or land? The options are endless. 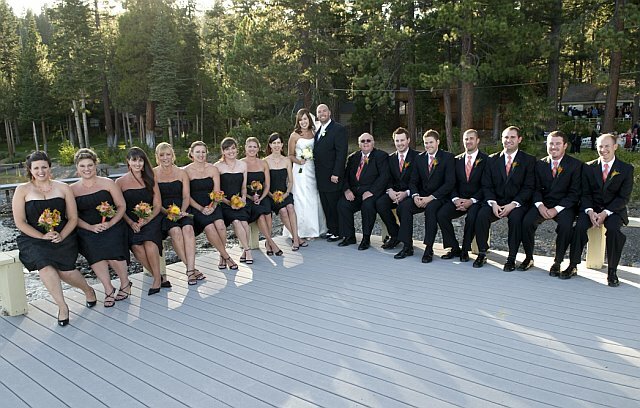 Visit www.myweddinglibrary.com/renotahoeweddingvendors to search for the Travel option that’s best for you. Colors: Bronze, royal blue, champagne, black and burgundy. Thanks to my amazing day planner and vendors I was stress free on the big day, my friends constantly complemented me on my zen like state of mind, which was only there because I knew my planner and the vendors had the wedding in order and running smoothly. 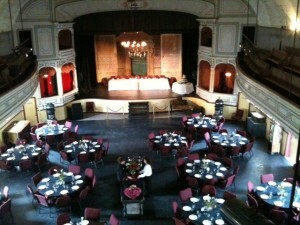 Our wedding was held at the historic Piper’s Opera House it fit perfectly with our vintage wedding (my inspirations was vintage/gothic/steampunk). 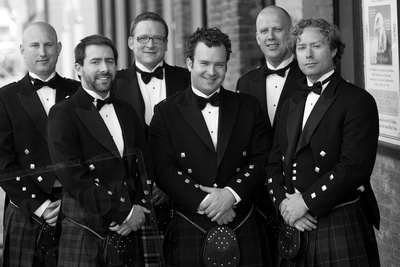 Both my husband and I have Scottish in our heritage so we decided he and the groomsmen would wear kilts to represent his clan and mine. We spent the weekend at the Cobb Mansion B&B, which was amazing, and the owners were above and beyond sweet. Paul the owner drove me down in one of his classic cars and after our vows he drove us around Virginia city in his second vintage car that he had dressed up with “just married” signs. Our day of coordinator, Liane McCombs Wedding Planning, made sure everyone was right where they were suppose to be. Her and Lori (the Director of Piper’s Opera House) made sure everything ran perfectly on the big day. Decorations were provided by a family friend, and we danced all night thanks to the music of the wonderful DJ Bill McClain (McClain’s Mobile Music and DJ Service) he was an amazing MC and everyone said he helped keep the party flowing and full of energy. The Old Corner Bar located next to the Piper’s Opera House provided all the beverages for our guests and was a delight to work with. The bar owner Bill was kind enough to also be our bartender. 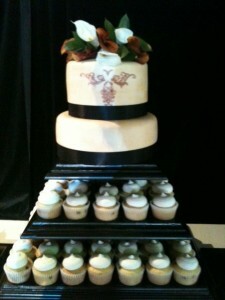 My cake and cupcakes were provided by Perfectly Posh Sweets and Soirees. Dinner consisted of meals to please our vegan and omnivores guest and was provided by Fig Tree Catering. All night guests said the dessert and food was absolutely divine and praised the catering and cake companies. 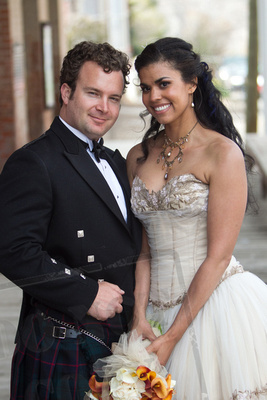 After I searched forever I was able to find the dress that was perfect for me at G H Bridal & Tuxedo LLC. It was classy, had a touch of vintage and was edgy enough to fit my personality. My hair and makeup was done by Jenny (Salon 7) and my makeup was done by Edin Carpenter. The man behind my amazing photographs of the night were provided by Ciprian Photography. It was a night of dancing, laughing and being surrounded by friends and family. unbiased information about everything wedding from coordinators, florists, photographers, and entertainment, to travel, beauty, accommodations, invitations, and more! My Wedding Library is there to help you along the path to planning for your perfect day. To start, come on in to our library storefront, located at the Summit Mall in Reno, where you can look through vendor portfolios, gather valuable information from one of our free how-to seminars, or receive guidance from one of our unbiased librarians. A look at our interactive website will allow you to read reviews from other brides concerning each of the vendors at the Library, and will help you pick the companies that you’d like to work with. Once you have selected some of your vendors, the storefront is here for you to use as a meeting space to discuss every last detail of your dream wedding. With My Wedding Library, planning will be fast, fun, and worry-free! The music that you choose for your wedding reception will set the tone and mood for the night. If you want a bumpin’ dance party, select upbeat songs that your guests can move and groove to. If you want to stick with a more romantic theme, love songs and soft melodies will provide that warm and fuzzy feel. to look at popular reception music. The company will be able to provide you with lists of hits from each decade or genre, as well as the most commonly used tunes for the special reception features including the father-daughter and mother-son dances, the bouquet toss, the garter toss, the cake cutting, and more. 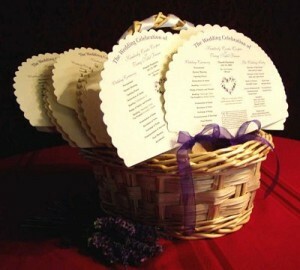 To acquaint guests with the wedding party and the ceremony happenings, programs are a great idea. As guests being to arrive, the ushers may hand these out for guests to browse through as they are being seated. Common inclusions in ceremony programs, in addition to a list of the wedding party and other important individuals like immediate family, are the order of events, musical selections, poetic or religious readings, and thank you’s from the bride and groom. Although wedding etiquette does not require ceremony programs, they serve as a special touch of added courtesy to your guests. Talk to your invitation or stationery vendor to create your custom ceremony program. Think about incorporating your wedding colors, theme, and personality in the program design. Having a wedding on the beach? Use shell-shaped programs! Are your bridesmaids wearing green? Put a twinkle of color in the program! Need to thank a relative who traveled far to be there on your big day? 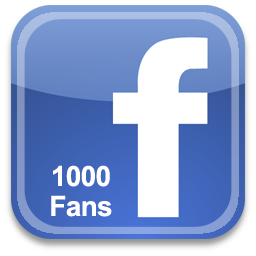 Include an appreciative word in the “shout out section”! Spaces Design and Planning offers couples who are planning their weddings a unique spin on the traditional wedding registry – interior design services. Merging a couple into a home is an art form where design issues may develop. Conversely, if you are already in a home together, Spaces can offer a new look and a fresh start as you begin your married life together. 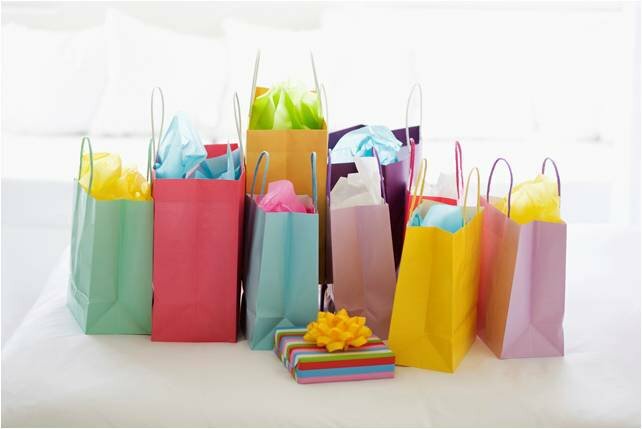 Just as you would set up a registry at a retail store, you will set up your registry with Spaces. They help discern what you are looking for in your home and translate that into a package that your guests can contribute towards. Spaces assists you in selecting a design package tailored to your needs. Family and friends can contribute to your specific design selections; they have a rare opportunity to give the distinctive gift of interior design. Many brides become so overwhelmed with planning their wedding that they leave little time to think about pampering themselves before the big day. So, we’ve come up with a beautification timeline before your big day and some tips to follow that will give the bride confidence in her appearance! think buttercream is the way to go…light, creamy, and oh so buttery…mmm good! But, if you have a detailed pattern or a particular design that you want pictured on the cake, fondant is your new best friend. Either way, when you take a bite of that cake, there’s no doubt that you’ll be in confectionery heaven! The wedding tradition of guest favors dates to an ancient Greek legend representing the almond tree signifying impetuous youth and undying love. 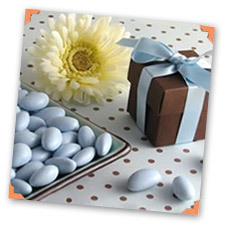 Each favor includes five sugar coated almonds as symbols of health, wealth, fertility, happiness and long-life. Many also believe consuming the five sugar almonds will prevent drunkenness. • None – best for small and informal events, an open seating environment. • Assign Guests to Tables – you allocate guests to tables and they choose their seat. 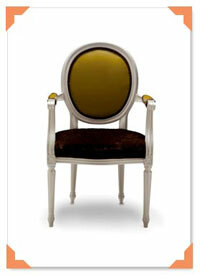 • Assign Guests to Seats – you specify the seat at each table to a guest. Try and arrange a mix on each table – so everyone knows a few people. then alternate male/females along the table. Give each table a name or number. 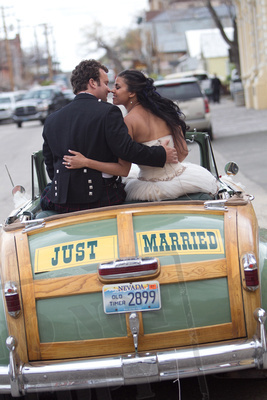 Table names could be themed – for example people, objects or places that are relevant to you as a couple. 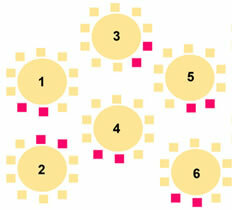 Eliminating the table numbers removes the perceived hierarchy of tables. If you are assigning guests to specific seats you should create name place cards. These could also show menu choices to assist the wait staff with providing a more seamless service. Arranging the chart can take a long time and might involve numerous revisions. Cutting up pieces of paper for each guest and table and use these to try out different layouts. Or develop an online version to make manipulations easy. There was nothing more exciting to me about planning my wedding (well, besides getting to marry the man of my dreams) than the thought of picking out my wedding dress. When I first began to search for “the one,” I invited my bridesmaids, my mom and my aunt to come along for what I was sure to be the day that I found the perfect fit. I knew exactly what I wanted and I was determined to find it. At the start of the day, I wasn’t exactly willing to try on dresses that my family and friends recommended (talk about Bridezilla!). However, a few stores into looking, I was ready to try on anything that was long, white and even remotely resembled a wedding gown, because I was so determined to find mine that day. After spending over 7 hours trying on wedding dresses from nearly every bridal store in Las Vegas, I couldn’t find my dream dress. Discouraged, I returned to Reno in hopes of finding something. 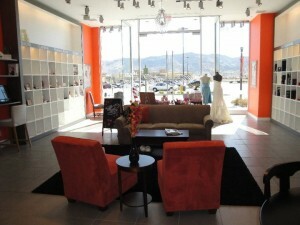 Just a couple hours into looking, I had found two dresses that I liked (Reno has wonderful bridal boutiques!) Finally, I made my decision to try on a dress totally different in style from what I had originally wanted; it was surprisingly perfect. I instantly knew that it was the “one” and I cannot wait to wear it on my wedding day! A word of advice to all brides: be open-minded when looking for a dress, try on styles you couldn’t normally see yourself in and listen to the advice and opinions of your loved ones… you will feel so confident and gorgeous when you slip on that picture perfect gown!